LOCATION, LOCATION, LOCATION…GATED COMMUNITY IN CARILLON… THIS UNIT FEATURES: POND VIEW LOCATION WITH LUSH GRASS YARD, WALK-IN CLOSET IN MASTER BEDROOM, BUILDER’S CUSTOM FINISHES INCLUDE GRANITE COUNTERS, ALL WOOD CABINETS, UNDERMOUNT SINKS THROUGHOUT, UPGRADED APPLIANCES, TILE IN WET AREAS, COMBO LIVING/DINING ROOM, 5 1/4′ BASEBOARDS, CROWN MOLDING, DECK DOWNSTAIRS WITH BALCONY OFF MASTER BEDROOM, TONS OF CLOSET AND STORAGE SPACE, UPSTAIRS LAUNDRY, COMMUNITY POOL IS HEATED WITH FURNISHED POOL HOUSE THAT CAN BE RESERVED FOR EVENTS…SURROUND PRE-WIRED, SECURITY 24HRS. COMMUNITY IS CENTRAL TO DOWNTOWN ST. PETE, BEACHES, DOWNTOWN TAMPA, FEATHER SOUND COUNTRY CLUB, NEW SHOPPING AND RESTAURANTS, AND AIRPORTS MINUTES AWAY. 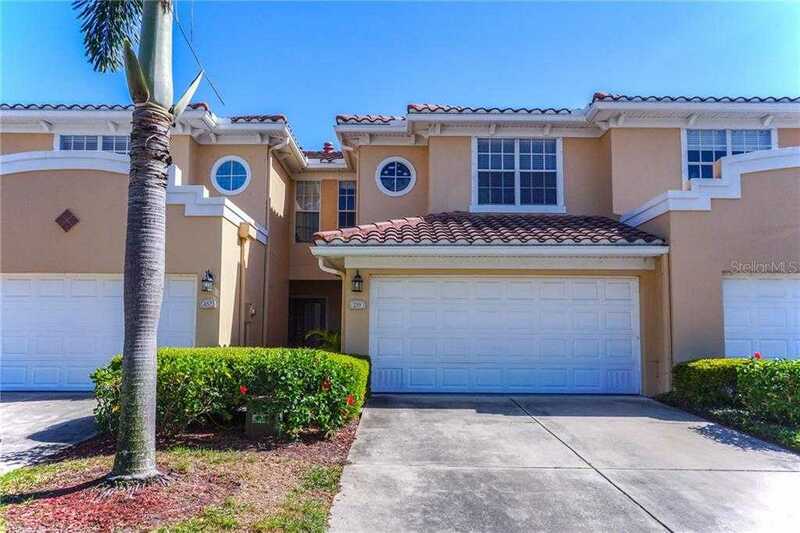 Please, send me more information on this property: MLS# U8040352 – $309,000 – 259 Valencia Cir, St Petersburg, FL 33716. I would like to schedule a showing appointment for this property: MLS# U8040352 – $309,000 – 259 Valencia Cir, St Petersburg, FL 33716.